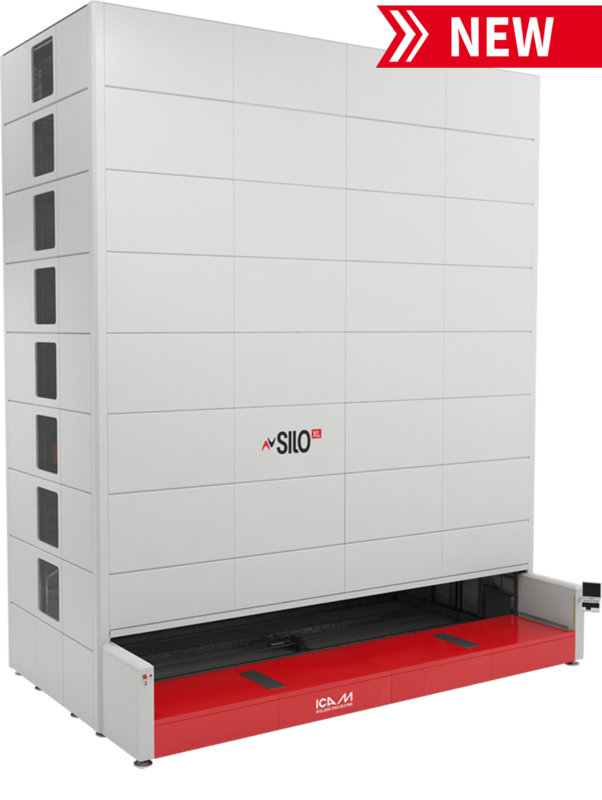 Tough, innovative, American-made VLM for intelligent inventory logistics. 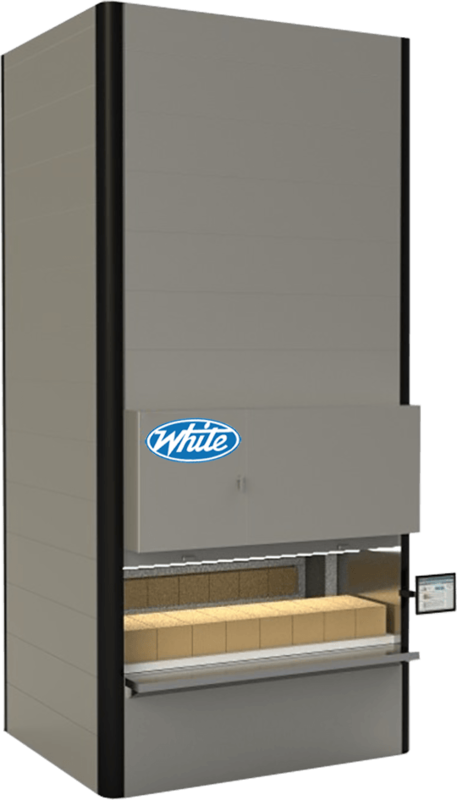 SencorpWhite designs and manufactures this VLM for heavy-duty applications. 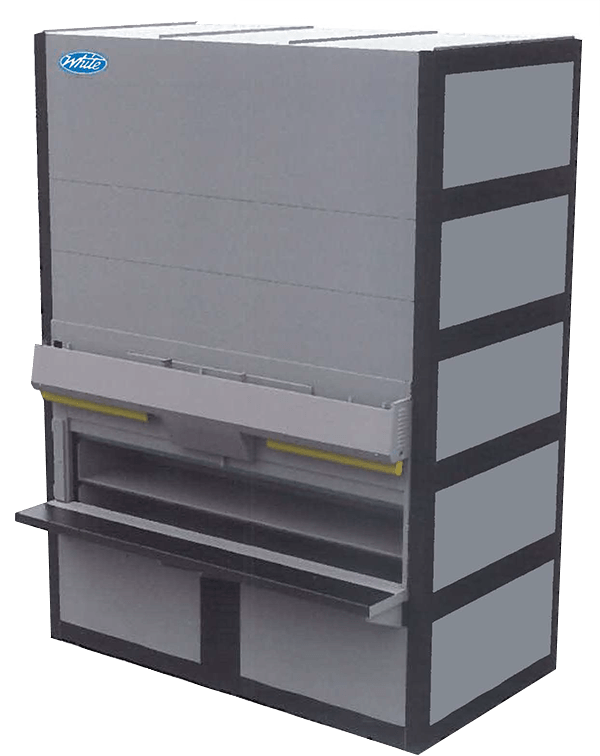 PowerColumn3 is custom designed as a unique system with tray sizes up to 60″ x 240″ with a maximum live load capacity up to 2,000 pounds each. 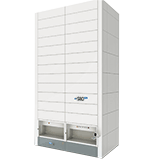 The PowerColumn3 (PC3) Vertical Lift Module (VLM) is the only VLM designed and manufactured in the United States and is ideal for discrete part storage and retrieval in a variety of applications, including manufacturing, warehousing, and distribution. 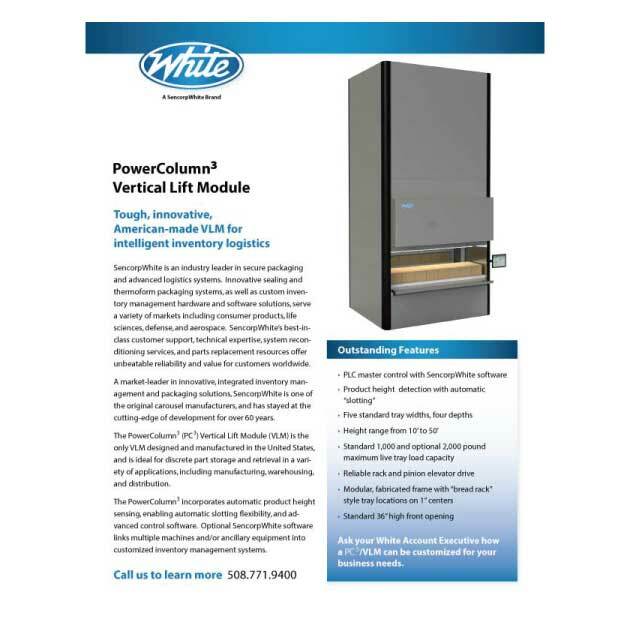 The PowerColumn3 incorporates automatic product height sensing, enabling automatic slotting flexibility, and advanced control software. Optional SencorpWhite software links multiple machines and/or ancillary equipment into customized inventory management systems.